Reputedly the best-known flamenco bar in Madrid, Las Carboneras is a once in a lifetime experience. Nestled behind Mercado de San Miguel in a jazz-club like hideaway, this is a world away from the classic ‘one-man band’ flamenco show. Featuring a quartet of dancers (flanked by two singers and guitarists), they dance one by one in dimly-lit surrounds, their focus broken only by applause. The intensity of their footwork builds skyward through the wooden stage, interrupted occasionally by a pit-pat of cheers from their comrades. Flamenco may seem flamboyant, but this is a serious affair. Uniting passion and control, severity and seduction, the alluring and the disarming, this is mind-boggling, soul scratching stuff. The dancers’ rhythmic movements are mesmerising, enrapturing the audience in a trance-like state whilst keeping them at a distance all at once. For no matter how musical you may think you are, this is a beat you can’t catch. The singers’ soulful wailings may capture your soul but there’s an eerie divide between audience and performer that cannot be crossed. Like a witch casting a spell, it’s engaging and alienating all at once. Eerie, powerful, elusive, it’s about feeling, not thinking. Even the Rastas stage-side, renowned for their rhythm, couldn’t get the beat. With personas as different as chalk and cheese, from the flamboyance of the opening dancer throwing her peach train around the stage in peacock-like fashion to the terrifying severity of her velvet-clad counter-part, flamenco at Las Carboneras is a sight to behold. A feast for the senses if ever I saw one, it’ll leave you changed. Go. 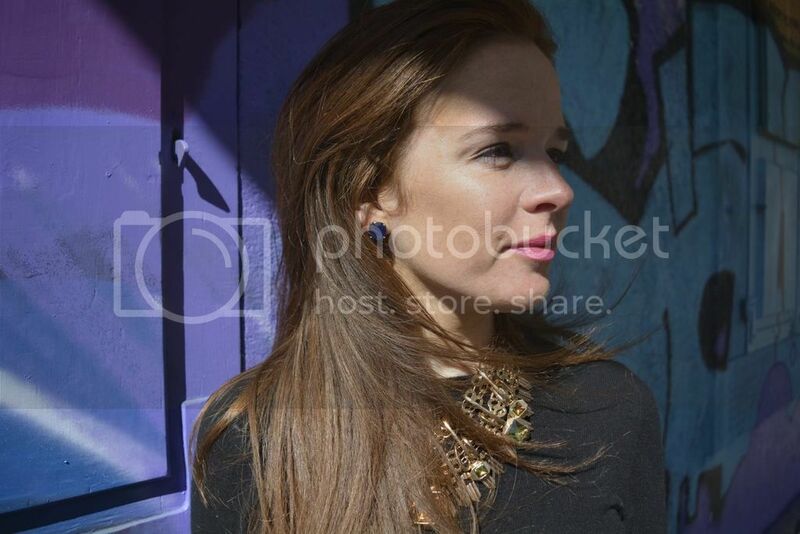 This entry was posted in bars, Countries, Madrid, madrid, madrid, Madrid, Plaza Mayor, plaza meyor, Posts, Restaurants, restaurants & cafes, Reviews, Spain, Spain, Travel and tagged #flamenco #lascarboneras #madrid on October 16, 2014 by Melanie Pritchard. One of my favourite venues in London, the Troubadour is a cafe-bar-restaurant-club extraordinaire you have to visit at least once. With pots, pans and all sorts of trinkets hanging from the beam-lined ceilings, this is a fantastical hubbub as magical as Alice’s Wonderland. 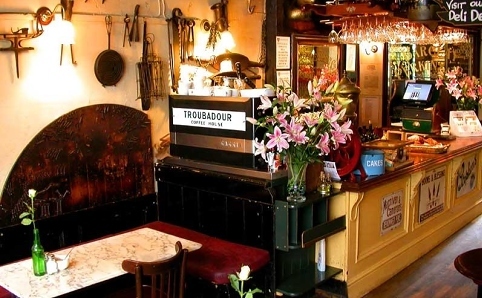 Located at 263-267 Old Brompton Road and established in 1954, The Troubadour is one of the last remaining coffee houses of its era in London, with a club room in the cellar which has hosted the likes of Bob Dylan, Elton John, Jimi Hendrix and The Rolling Stones. Steeped in artistry befitting its name (a Troubadour was a lyric poet or performer from the High Middle Ages), it continues to host live music and poetry, mainly by performers who write their own material. The performance area downstairs remains an intimate space for 120, with a cosy underground jazz club feel, dance floor and cocktails served until the early hours. The ground-floor cafe is a spell-binding affair which caters for every taste bud and budget. From The Brompton Burger and chunky chips to ‘The Troubadour Trio’ – a scrumptious spread of hummus, taramasalata and pumpkin dip with pitta bread and crudités – you will not be disappointed. The jungular garden nestled at the rear of the cafe is but another feature to enjoy on a warm summer’s eve. What’s the Wine Shop like? 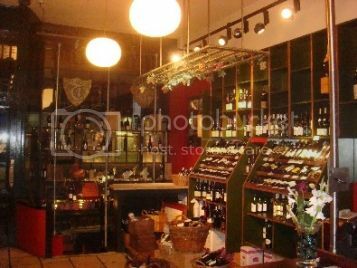 The variety doesn’t stop there, with the neighbouring Wine Shop providing a calm alternative to the fast pace of the cafe and club next door. 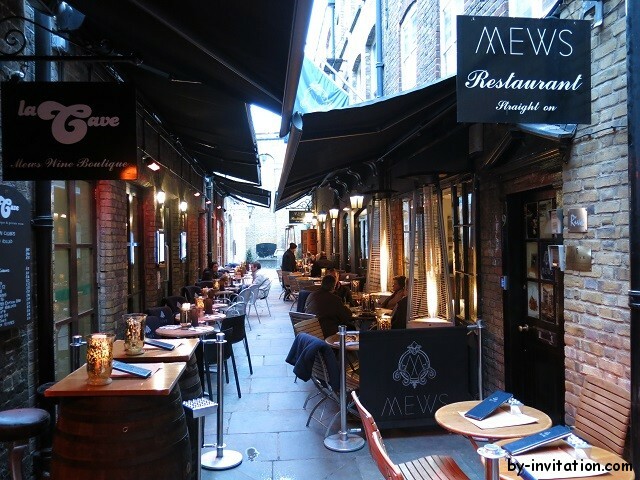 Available for private parties, it was also awarded the ‘Best Argentinian Wine Retailer of the Year’ in 2010. Wine-tasting evenings and Troubadour Feasts are superbly hedonistic events involving a several course dinner based on a chosen region or country in return for paying a fixed fee and the promise of meeting new and interesting people (The Troubadour tends to attract engaging sorts). Do they do private parties? 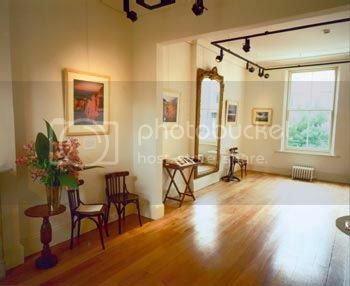 If that’s not enough for you, The Troubadour Gallery is an elegant room perfect for use as a private party room for drinks for up to 70 guests or a buffet lunch or supper for up to 50 people. Located on the first floor, it is designed in classical fashion with wooden floors, large windows and high ceilings. Not sure it’s your bag? 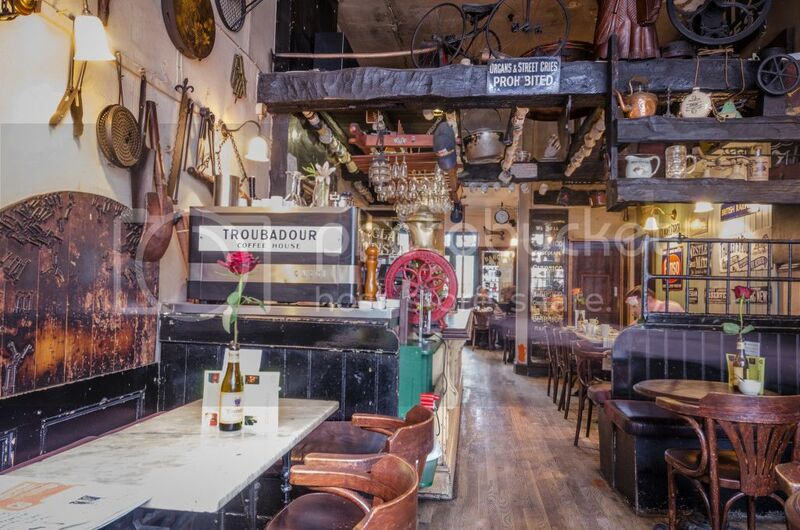 If you’re an artistic soul who enjoys the eclectic, visit The Troubadour. It’s one of a kind. And if you’re a touch nutty, wear a hat on a Tuesday and you’ll get a free dessert! This entry was posted in bars, Cafes, Countries, england, england, england, Inspiration, london, london, london, london, Posts, Restaurants, restaurants & cafes, Reviews, Travel and tagged bestrestaurantslondon, reviewtroubadour, tripadvisorrestaurantslondon, troubadourlondon on September 15, 2014 by Melanie Pritchard. 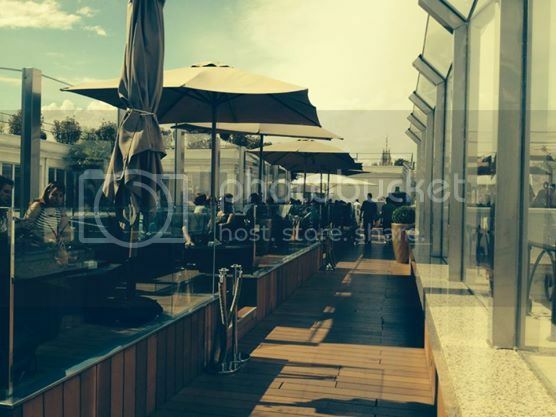 Located on Calle de Alcala just off Gran Via, the roof terrace at Circulo de Bellas Artes is a not to be missed. If there’s one place you should take a visitor, it’s here. A spectacle extraordinaire, the wow factor is on a par with stepping onto the observation deck of the Empire State Building. This is a truly panoramic experience, with views stretching over the cityscape as far as the eye can see. The terrace is vast with various sub-sections, from the chic canopeyed restaurant hub and sophisticated high-tabled drinks area to a chic sunken zone with low-lying sun loungers and fluorescent mushroom-like tables. If you come before 9:30pm you’ll avoid queuing and catch the sunset. At 3 euros a pop, an evening a-top Circulo de Bellas Artes is a steal. Cibeles Palace roof terrace comes a close second. Standing majestically in front of the famous Cibeles Fountain, it oozes gravitas and splendour. 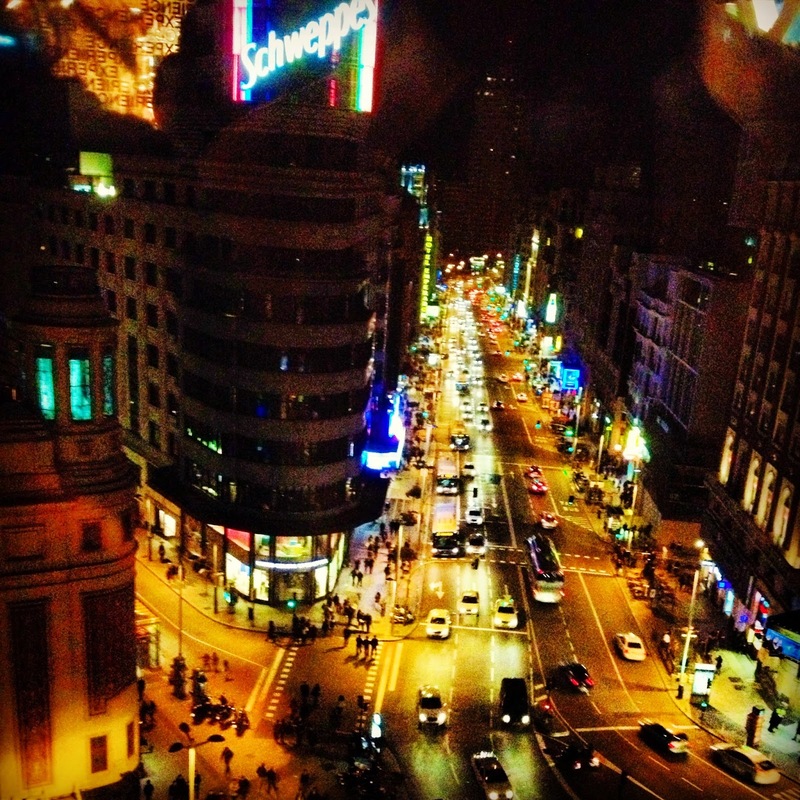 The Palacio Cibeles Restaurant, on the sixth floor, has pretty lovely views but the eighth floor is something else. With horizon wide panoramas of the city from a 70 metre high look-out point, this is well worth a visit. The terrace is top-end chic, with striking black surrounds and dim-lighting which gives it an exclusive edge over some of its counterparts. If you count yourself a bit of a sophisticat, give this a whirl. Situated on Plaza de Vázquez de Mella, between Gran Via and Chueca, the rooftop bar a-top the swanky Room Mate Óscar hotel is a must. If you’re struggling to find it, you can’t miss the bold, over-sized sign hanging from its exterior which reads: “Do you want to sleep with me?” How continental. With comfy white cushions, sun-loungers spread around to laze on and drinks ranging from Gin and Tonics to Mojitos, you’d have to try pretty hard not to like this place. And while it’s a top of the range spot with a distinctly exclusive vibe to it, it’s not overly expensive. Chic, light and airy, Room Mate Óscar mixes the luxurious and unpretentious with ease. Think understated chic under the stars. Not unlike its glamorous Covent Garden counterpart, the roof terrace at the ME Hotel in Plaza Santa Ana is a super stylish hang-out with views to die for. With wooden decking lining the floors, stylish glass surrounds and chic taupe umbrellas, it has an air of exclusivity which more than justifies the 10 euro entry fee by night. Though previously a little put-off by the latter, it’s a small price to pay for the ambience and complimentary cocktail of your choice. If you really can’t bring yourself to shell out, the terrace is free by day and is a lovely spot for afternoon digestifs after lunch at Lateral southward. My sister’s favourite of the lot, this roof terrace combines markety buzz and casual chic. Located on the top floor of Mercado San Anton (one of Madrid’s most authentic tapas markets), it’s an eclectic mix of flora, fauna and cocktails set in the heart of Madrid’s gay district. 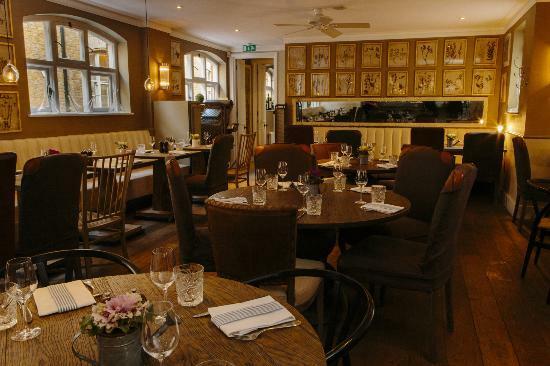 If you don’t fancy the restaurant sitting alongside the bar, or sampling the market treats below, there are top of the range restaurants a-plenty southward. If you like character, you’ll love this. Located in the heart of Madrid on Gran Via, this is a classy 4* Hotel with a twist. As its name suggests, Hotel De las Letras has a literary thread, with walls decorated with silk-screened texts of different authors. If poems and short stories aren’t your bag, venture up to the 7th floor rooftop bar, otherwise known as Ático De las Letras and discover a relaxed, jungular wilderness overlooking the city heights. The decor is understated but snazzy, with slatted wooden flooring and high neon green perspex tables. Food includes a range of salads, tapas, grilled sardines and beef tartare. There’s also an impressive range of booze on offer with varying types of rum, vodka, gin, brandy, whisky and champagne as well as mojitos, caipirinhas or a range of fresh juices. Come nightfall, you can enjoy the starry lights of the cityscape alongside a live DJ who plays into the wee hours. Open from 13:00 to 12:30 Sundays to Wednesdays and 13:00 to 03:00 Thursdays to Saturdays, this is a great spot to enjoy a break from the city. A stone’s throw from Gran Via, Hotel Urban is a minimalist 5 Star experience worth a visit. 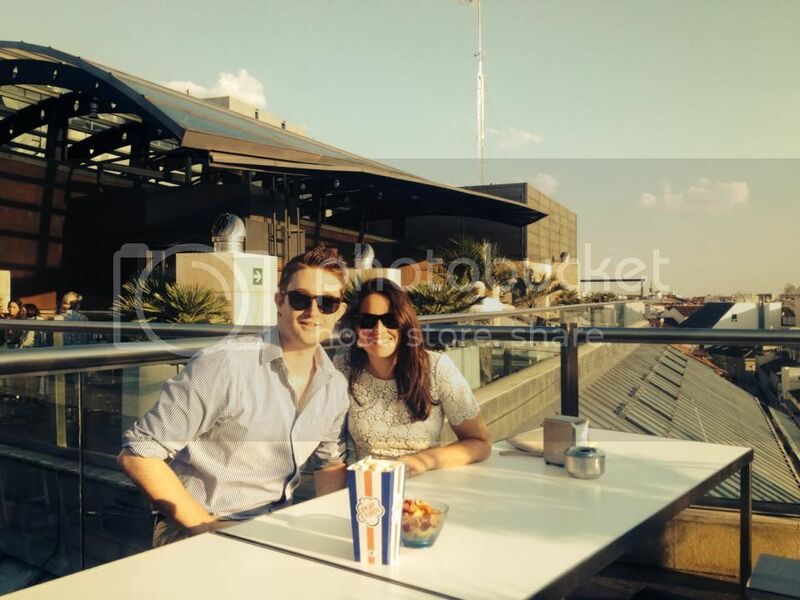 The roof terrace is understated, modern chic, with white seating and views over Madrid’s city centre. While the outlook is a little more ‘urban’ and less far-reaching than some of its counterparts, this is an elegant spot with a uniquely metropolitan twist. The menu is extensive with generous lashings of gin typical of Madrid and the drinks are served with popcorn – a novel touch for a novel experience. 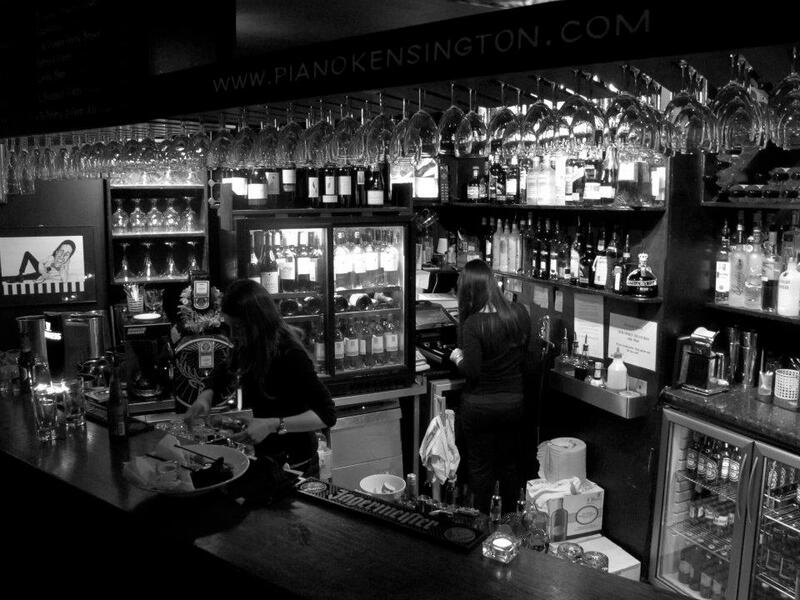 Open from around 8pm, this is a lovely spot for a pre-dinner drink. This new market in Tribunal is a must-see. While sampling the culinary delicacies here is the main feature, the roof terrace on the second floor with its outdoor watering system is super buzzy and fun. The only reason why this ranks lower than the others is because there is no view – but the atmosphere is second to none. Grab yourself a mouth-watering burger, a plate of pulpo and a glass of vino for 2 euros and you’re in bliss. Throw a chocolate crepe in for good measure and life really doesn’t get much better. 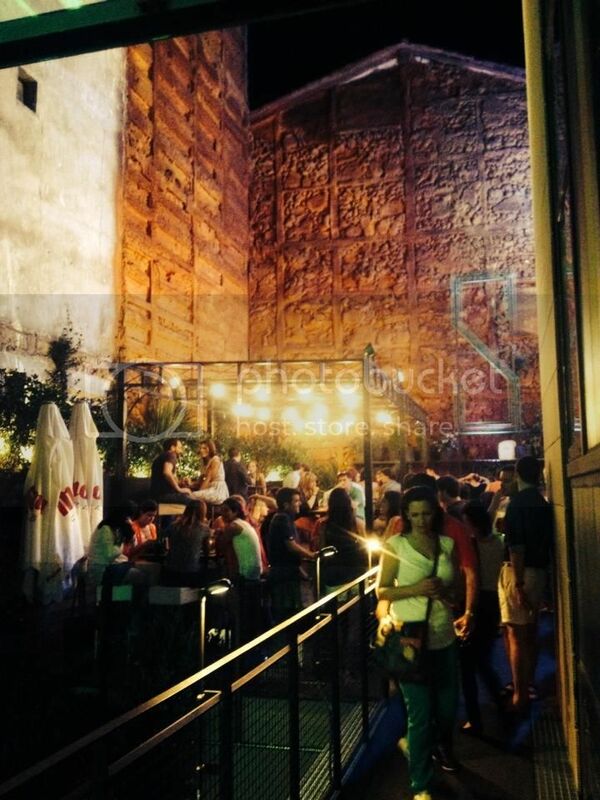 This entry was posted in bars, Madrid, Madrid, madrid, Malasana, Posts and tagged bestbarsmadrid, madridmarkets, madridroofterraces, roofterracesmadrid, travel, tripadvisormadrid on August 17, 2014 by Melanie Pritchard. 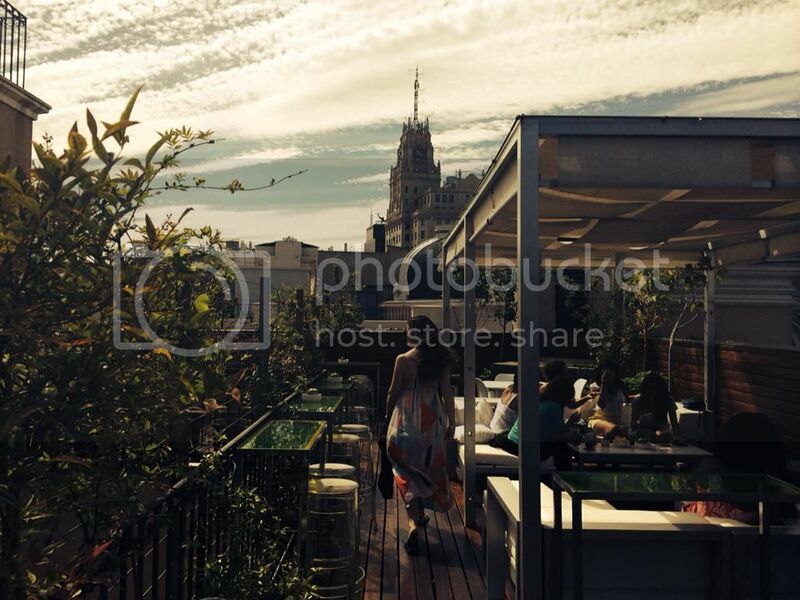 Located on Calle de Alcala just off Gran Via, the roof terrace at Circulo de Bellas Artes is a not to be missed. If there is one place you should take a visitor, it’s here. A spectacle extraordinaire, the wow factor is on a par with stepping onto the observation deck of the Empire State Building. If you come before 9:30pm you’ll avoid queuing and catch the sunset. At 3 euros a pop, an evening a top Circulo de Bellas Artes is a steal. 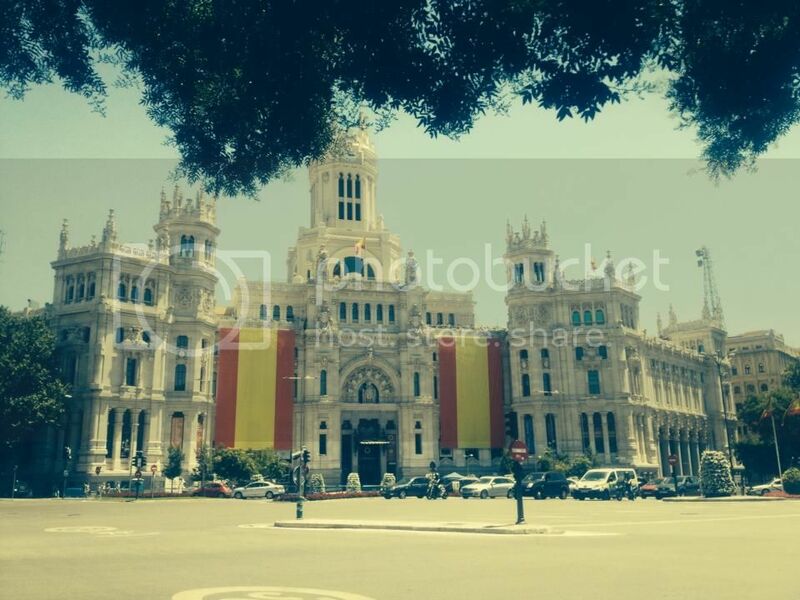 Cibeles Palace roof terrace comes a close second to Circulo des Bellas Artes. Standing majestically in front of the famous Cibeles Fountain, it oozes gravitas and splendour. Situated on Plaza de Vázquez de Mella, between Gran Via and Chueca, the rooftop bar atop the swanky Room Mate Óscar hotel is a must. If you’re struggling to find it, you can’t miss the bold, over-sized sign hanging from its exterior which reads: “Do you want to sleep with me?” How continental. If you really can’t bring yourself to shell out, the terrace is free by day and would be a lovely spot for afternoon digestifs after lunch at Lateral southward. 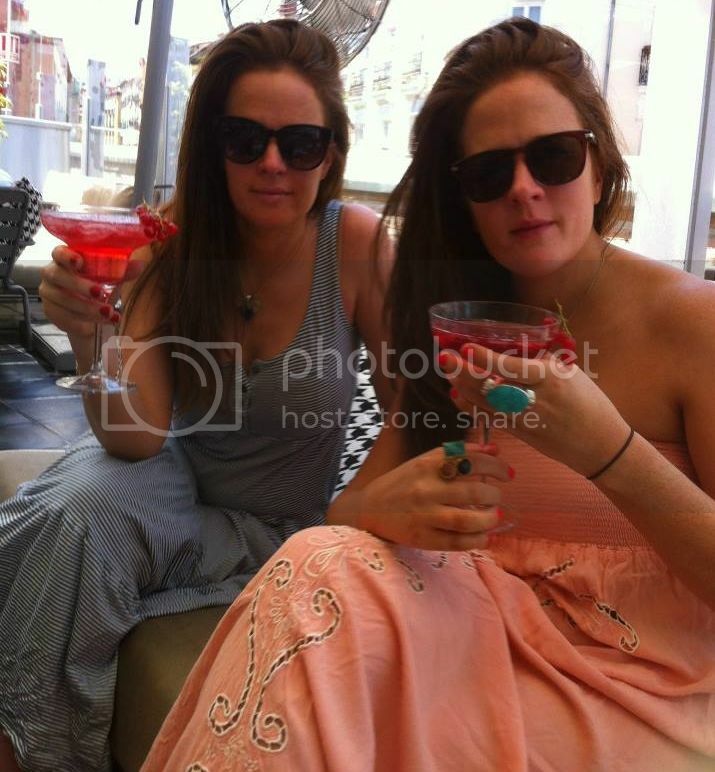 This entry was posted in bars, Madrid, madrid, madrid, Posts and tagged bestroofterracesmadrid, bestrooftopsmadrid, cibelesmadrid, hotelurbanmadrid, madrid, MEhotelmadrid, openairmadrid, oscarhotelmadrid, roofterraces, rooftops, touristsights, tripadvisormadrid on August 17, 2014 by Melanie Pritchard.